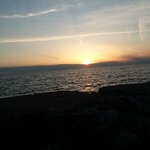 My time visiting that beautiful, breathtaking region was amazing. Words can't explain. Peace, tranquility, exquisite. A must go. we have been to keuka once before. we love the scenery, the drive up and down rt 54 and 54a, and the wine. but the passport has less wineries on it now(only 5), so i don't know if it is worth getting. 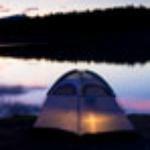 make this a 2 or 3 day trip, incorporating hikes and dinners. 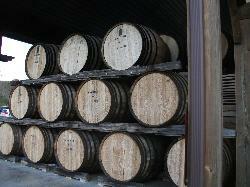 Last Thursday during our visit to Penn Yan we decided to do a wine tour. The front desk person at the Hampton Inn provided us with a brochure of the Finger Lakes that showed every brewery, vineyard and distillery around the lakes. We decided to stick close to home and just do the Keuka Lake Wine Trail. Since we drove ourselves, only one of us could drink and so I was elected the official taster. 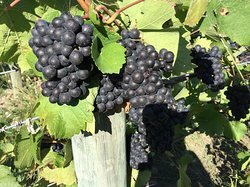 There are 5 vineyards on the Keuka Lake Wine Trail, starting with Keuka Lake, which I've already reviewed. We also stopped in at Rooster Hill which was right down the road, even though it wasn't on the official wine trail. 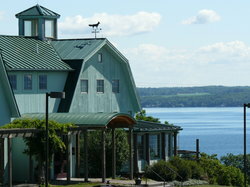 All the vineyards visited were nicely located with wonderful views of Keuka Lake and the surrounding area. The tastings were generous and all the wines were wonderful. McGregor offered snack plates and we decided to have the warm brie with bread and fruit which was just enough to soak up all the wine I had tasted so far and fortify me for the next stops. Almost all of the places visited had places to sit outside to enjoy the views. Most of the tastings offered 5 tastes for $5. One was $3 for 5 and one was $7. At most places premium wines were $1 more for tastings. Heron Hill was the most spectacular location. An imposing structure high up on the hill with a breathtaking view. It also has a restaurant attached, which was closed at the time of our visit. From what I could see, every vineyard offered discounts when purchasing multiple bottles. I think pretty well everyone offered discounts to the military, and almost all of them did not charge for the tasting if wine was purchased. The entire trip around the lake took us approximately 3.5 hours and we did not rush. We decided that the next time we would hire a car and driver so both of us could be free to taste the wonderful wines of this region. We ended up purchasing a good selection of wines of which several would have been great to buy a case of, had we had the room. Definitely going back there and doing that trail again. My wife and I enjoyed a glorious weekend this past weekend, with the weather in the 70’s and the trees in full color. The wineries were very busy pressing their grapes for this years wines. We visited probably 10-12 wineries along both sides of the lake, all having phenomenal wines to offer, with some of the best dry Riesling I have ever had. Dr Frank was especially exceptional having the only free tastings in the region. We found some varietals on this trip, and purchased several new wines. It was the perfect weekend indeed. 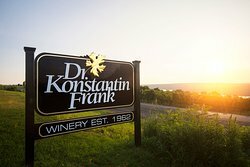 We visited Dr. Konstantin Frank, Keuka Lake Vineyards, Point of the Bluff, and Ravines Wine Cellars which all offer stellar wines. Steuben Brewery with its adjacent food truck was a big hit with our group. We also visited a couple of other breweries which were mediocre. We stayed at an Airbnb in Hammondsport which offers restaurants within easy walking distance. We also visited Corning Glass Works which is a must see and offers interactive fun for the kids. 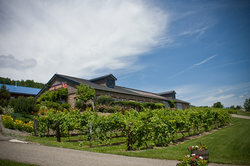 There is much more to see in the area such as the Glenn Curtis Museum and many more wineries.